Poe Reef lies just eight feet beneath the water's surface between Bois Blanc Island and the Lower Peninsula mainland, and as such has long represented a significant hazard to vessels making their way through the Straits between Lakes Michigan and Huron. 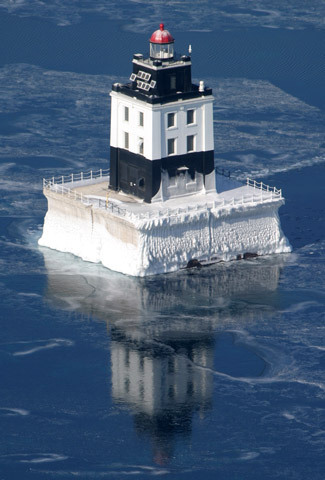 The lighthouse is best viewed from by boat and can be seen on eastbound lighthouse cruises offered by Shepler's. However, fair views are available from Lighthouse Point near the ruins of the Cheboygan Main Light Station in Cheboygan State Park. The lighthouse is owned by the Coast Guard and the tower is closed.